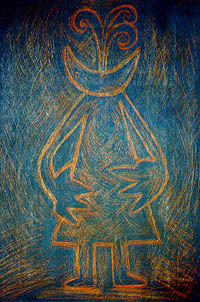 Sonja's Latest work Drawing Other prints Paintings Design Sonja's c.v.
etching, 1990. Edition of 6. 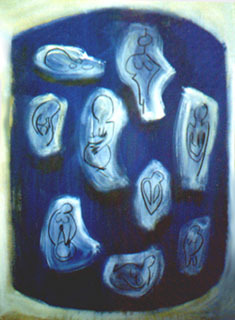 Back to part two of the 1998 article about my art. 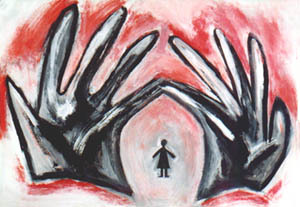 1989, 50 x 80 cm. 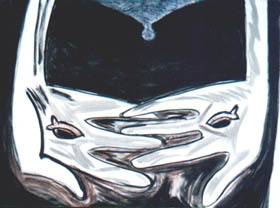 Ae, he tangata, he tangata, he tangata, 1989. 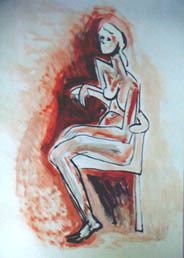 Ink and pastel on paper 30 x 40 cm. The title is the last line of a New Zealand Maori proverb. 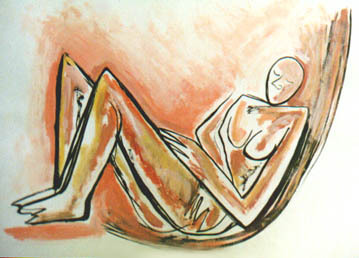 Superwoman takes a rest 1989, acrylic on paper. acrylic on paper. 38 x 48 cm. and about the context of this work. 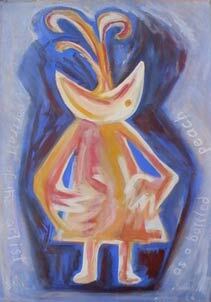 80 x 120 cm, acrylic on canvas. 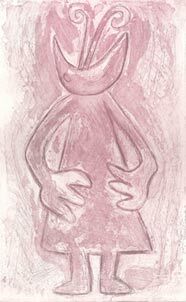 Terug naar deel 2 van de 1998 artikel over mijn kunst. 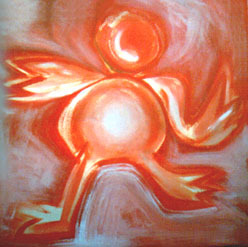 back to part 2 of the 1998 article about my art.